Braemar Hotels & Resorts (NYSE: BHR) ("Braemar" or the "Company") announced today that it has closed on the acquisition of the 170-room Ritz-Carlton Lake Tahoe located in Truckee, California. The total consideration of $120 million consisted of $103.3 million for the hotel, $8.4 million for the 3.4-acre undeveloped land parcel, and $8.3 million for capital reserves. In conjunction with the transaction, the Company entered into an Enhanced Return Funding Program (the "Program" or "ERFP") agreement with Ashford Inc. (NYSE American: AINC), reducing the implied purchase price by $10.3 million. The Company also closed on a $54 million non-recourse mortgage loan secured by the Ritz-Carlton Lake Tahoe. The loan is interest-only, bears interest at LIBOR + 2.10%, and has a five year term. The hotel will continue to be managed by Ritz-Carlton. The Ritz-Carlton Lake Tahoe is expected to be Braemar's first hotel acquisition to benefit from the Enhanced Return Funding Program. In connection with this acquisition and subject to the terms of the ERFP, Ashford Inc. has committed to provide Braemar with approximately $10.3 million of cash via the future purchase of hotel furniture, fixtures, and equipment ("FF&E") at Braemar properties. Inclusive of the funds expected to be provided by Ashford Inc. under the Program in relation to the Ritz-Carlton Lake Tahoe acquisition, and assuming the Ashford Inc. funding were to occur at closing, the adjusted net purchase price per key equates to approximately $547,000, and represents, as of December 31, 2018, an estimated trailing 12-month capitalization rate of 8.0% on net operating income of $7.4 million and a trailing 12-month EBITDA multiple of 10.2x according to the Company's estimates based upon unaudited financial data provided by the sellers1. The Company believes the ERFP would improve the estimated unleveraged internal rate of return of the transaction by approximately 100-200 basis points. Subject to the terms of the two-year programmatic agreement, Ashford Inc. has committed to fund amounts equal to 10% of the purchase price of future Braemar hotel acquisitions, up to an amount of $50 million in aggregate funding. The Program has the potential to be upsized to $100 million based upon mutual agreement. To the extent that Braemar pursues future acquisitions, the Company believes the ERFP will result in a competitive advantage when bidding for up to $500 million of acquisitions. The ERFP would result in enhanced returns for Braemar's shareholders by effectively reducing the total purchase price and total amount of equity required for investment purposes. Braemar believes that access to the ERFP sets Braemar apart from its lodging REIT peers and demonstrates another benefit of the alignment that the Company has with its advisor. The Program is subject to customary lender consents. 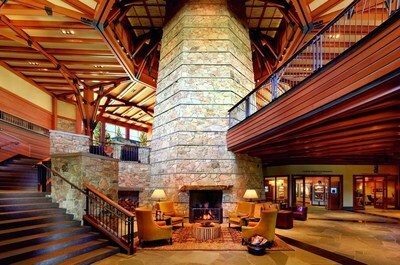 "This purchase of the Ritz-Carlton Lake Tahoe is particularly attractive, and we believe the returns for our shareholders should be significantly improved via the Enhanced Return Funding Program with Ashford Inc.," said Richard Stockton, Braemar's President and Chief Executive Officer. "We expect this programmatic funding arrangement should increase stockholder value over time from the investments we make on future acquisitions, and believe the ERFP will provide a clear competitive advantage for us. We will continue to be disciplined in our growth strategy being mindful of our cost of capital and target leverage." Additional details of the Enhanced Return Funding Program will be provided in a Company 8-K filing and in a Company presentation that will be posted on its website, including related amendments to the Company's advisory agreement with Ashford Inc. The Company will conduct a webcast on Friday, January 18, 2019 at 10:00 a.m. 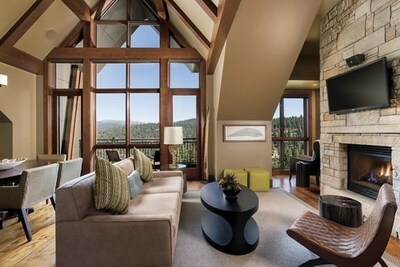 ET to discuss the Program in more detail along with the Ritz-Carlton Lake Tahoe acquisition. The webcast will be available online at the Company's website, www.bhrreit.com, by clicking the Investors tab, or by visiting http://public.viavid.com/index.php?id=132816. The Company encourages analysts and investors to listen to the call or webcast and review the presentation slides which discuss the ERFP and the Ritz-Carlton Lake Tahoe investment. Without ERFP funding, the capitalization rate would be 7.2% and the Hotel EBITDA multiple would be 11.3x. registered public accounting firm. The financial information presented could change. SOURCE Braemar Hotels & Resorts, Inc.